Percussia will present a program of interactive music for individuals with autism and their families. Sponsored by Music for Autism. In this program Percussia will perform several pieces by composers with roots in Queens. Also included are Mark Mellit's tongue and cheek Tight Sweater: and the ritualistic "Invocations to Vahakn"--a prayer to an ancient Armenian deity--by Alan Hovhaness. This program will feature Ingrid Gordon, Andrea Pryor and Jack Mansager performing traditional Mexican marimba music on one marimba! This program will feature Ingrid Gordon on percussion, Susan Jolles on harp, and soprano Melissa Fogarty. This concert will feature a duet for harp and percussion called "Sacred Spirits: Forces of Nature" by Alexis Lamb. Based on a Lakota Sioux prayer, this work paints a musical picture of the spirits of the elements of air, earth, fire and water. They will also perform a world premiere by Seth Bedford, and a haunting piece for soprano and tubular bells by the Polish composer Krzanowski. 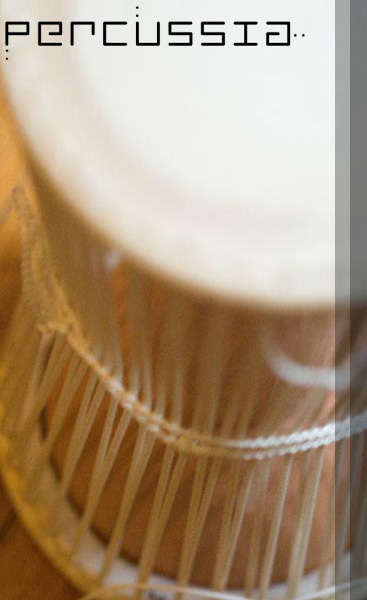 Percussia's programs are supported, in part, by public funds from the New York City Department of Cultural Affairs, in partnership with the City Council. Additional funding is made possible by the New York State Council on the Arts with the support of Governor Andrew M. Cuomo and the New York State Legislature, the Music Performance Trust Fund, and by the generous contributions of individual donors.